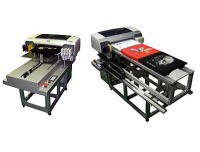 it's possible to print on T-shirts, Textile, and so on. 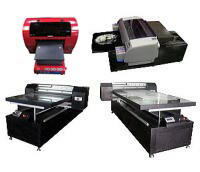 Or by using direct ink, it can print on various materials. not adapting Robot system. But Quality of printing is same. White ink is able to be mouted on this printer. It is excellent in operativeness because adapting Robot system. print on transparent and dark color media. It's possible to print on iphone cases. You can print 4pcs of iphone cases at the same time. the heat system heat-treats the same time. 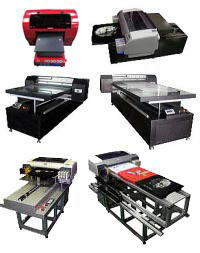 Mainly it is used for sports wear printing. This ink is mainly used for cloth, textile, wood and so on. It's possible to print on dark shirts because we have white ink. It's excellent in durability and vividness. 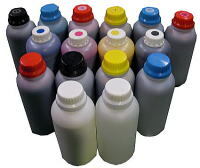 This ink is mainly used for acryle, tile, metal, leather and so on. It's possible to print on dark materials because we have white ink. 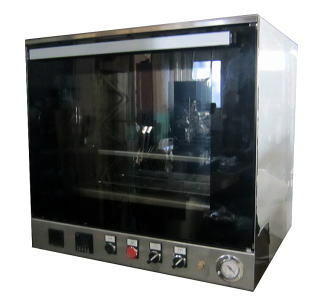 is coated by polyester regin. 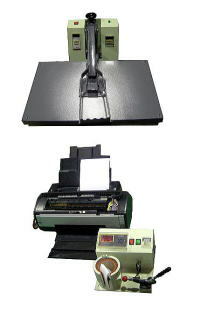 Transfer paper for sublimation and pigment. Press machine for Textiles, cap, Mug cups. 2-4-28, Ishizu, Sakai-ku, Sakai City, Osaka, Japan.